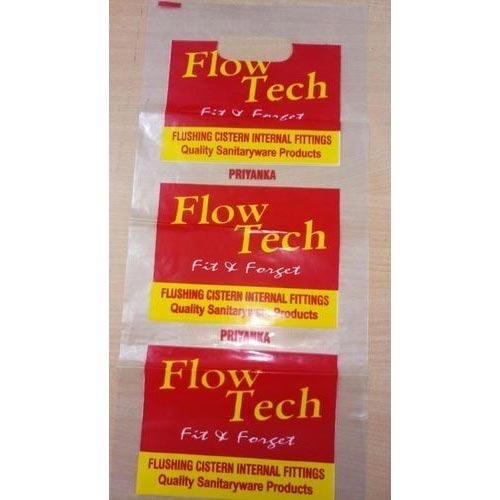 We are one of the popular organizations in this business and are involved in offering an enormous quality range of D Cut Poly Bag to our clients. We, Saradhhi Packaging started in the years 2012, are one of the foremost manufacturers an extensive array of Packaging Material. Our offered range consists of U Cut Polythene Bag, LDPE Shopping Bag, D Cut Poly Bag, LDPE Plastic Bag, U Cut Printed Poly Bag, Stretch Wrap Film, PP Film, Mulching Film, Polypropylene Roll and many more. We are also a service provider of Multi Color Flexographic Printing Service, Multi Color Rotogravure Printing Service, Polythene Printing Service. These offered products are designed using top grade input factors. Our products are highly demanded in the market for their unique features like finely finished, durability, lightweight, and long life. In addition to this, this product can be custom designed to fulfill the needs of the patrons.